Everyday life can be very hard on rugs. Dirt, ashes, oils, dust and odors can all become trapped from spills, pets and foot traffic. If you clean your rug on a regular basis and do everything possible to keep it well maintained it will last a lot longer. A rug won't last long if you don't take care of it properly and allow debris to accumulate on it, even if the rug you own has strong fibers. Dust and dirt will build up on the rug's base and cause friction in the fibers. We provide quality rug cleaning services. If you have spilled spaghetti sauce, wine or coffee on your rug, we are here to help you. If your puppy has an accident on your rug, we can restore it. A spill can be contained by using a clean towel to blot the area with. However, it is best if you avoid trying to clean a rug on your own. The cleaning products that are available in stores tend to contain harsh chemicals. Those products will damage your area rug's fibers. Don't ever apply water to a stain since that will just result in the stain spreading and cause the dyes in your rug to bleed. Your rug could end up being discolored and the floor underneath the rug could also be damaged. We offer professional cleaning services for getting rid of stains from rugs and cleaning them. We have various cleaning methods that we use like color testing to prevent rug dyes from bleeding as the rug is being cleaned. We have a 10-step cleaning process that we use for cleaning your rug thoroughly. All of the rug specialists on our staff have received advanced training. They can always be counted on to do an excellent job when restoring and cleaning your rug. We offer hypoallergenic and non-toxic cleaning options so that our services can be used without you needing to worry about your pets and family's safety. 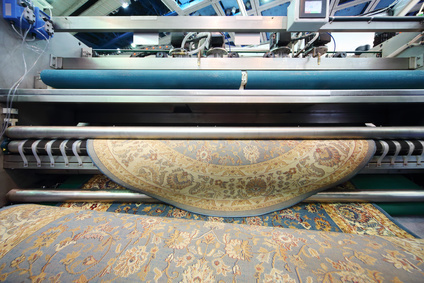 We offer restoration, repair and cleaning services for specialty rugs and carpets. Depending on the type of rug or carpet you own, we use various cleaning techniques. 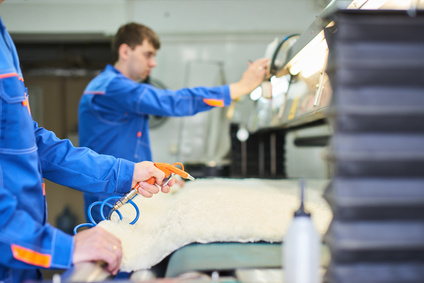 We are able to clean and restore rugs that are made out of sheepskin, silk, wool and even cowhide. Other rugs that we accept include Tibetan rugs, East Turkestan rugs, Chinese rugs, Kurdish rugs, Caucasian rug, Anatolian rugs, Central Asian rugs and Persian rugs. The rug cleaners on our staff are certified specialists who have the ability to identify various kinds of fibers, materials and rugs in order to select the best cleaning solution. 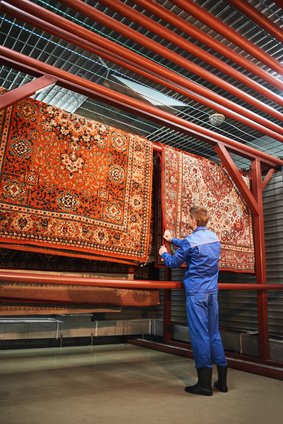 Our cleaning facility is equipped with all of the necessary equipment so that our specialists can completely restore your rugs. Contact us for your free inspection. We offer free estimates and can pick your rug up for free if you make the decision to take advantage of our cleaning services.